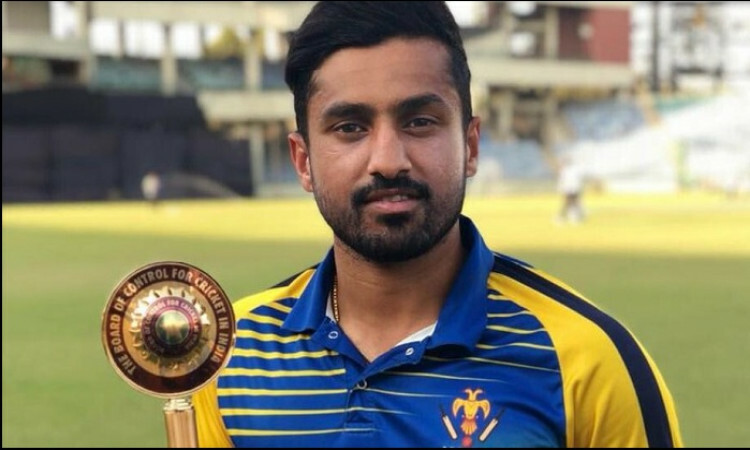 Cuttack, Feb 25 (CRICKETNMORE): Karnataka thrashed minnows Mizoram by 137 runs to cruise to their fourth win on the trot and consolidate the position atop Group D, while former champions Bengal were stunned by Assam in the Syed Mushtaq Ali Twenty20 tournament, here on Monday. Sibsankar Roy hit a brilliant 83 off 53 balls (12x4, 1x6) to help Assam recover from 10/2 inside three overs, following Ashok Dinda's double blow in successive overs. They posted 162/5 in 20 overs. Batting first, Tamil Nadu could score 125/6 with Arzan Nagwaswalla, Gujarat's left-arm pacer, picking 3/11 in four overs. Gujarat fell short, bowled out for 124 with one ball to spare. India Test ace Cheteshwar Pujara's unbeaten 39 guided his team to a comfortable victory.